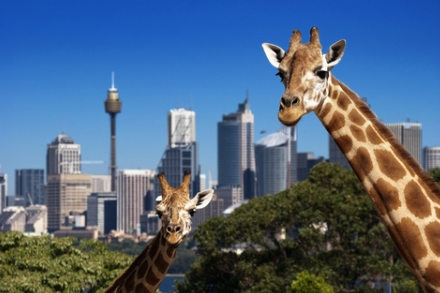 Come nose to nose with animals of the world at Sydney Taronga Zoo – the zoo with a view! Situated on the foreshore of Sydney’s magnificent harbor, Sydney Taronga Zoo has something for everyone. With keeper talks and presentations throughout the day, animal encounters and the not to be missed free flight bird show and seal show. No wonder it is one of Sydney’s top attractions.There are 10 themed areas at Taronga Zoo including Wild Australia, Wild Asia and the new Great Southern Oceans where you can see animals living in unique displays imitating their natural habitats and offering spectacular viewing for visitors. If you would like an up close and personal experience, Taronga Zoo offers animal encounters (at an additional cost) with animals such as koalas, giraffes and reptiles. You’ll get the chance to meet these beautiful creatures and take home a souvenir photograph.